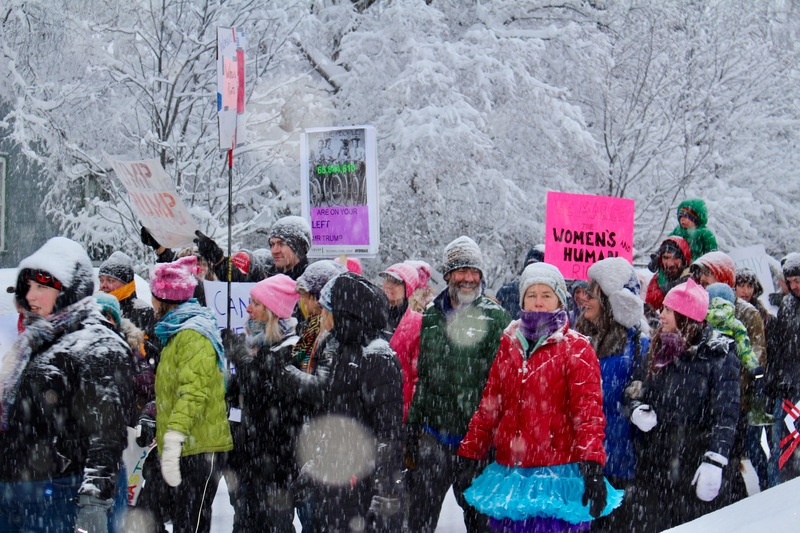 My daughter and I went to the Woman’s March on Anchorage to take photos and interview a some people. It was about 11 degrees Fahrenheit and snowing. My phone died pretty quickly, but we managed to interview a few people. Here are couple photos from the March. 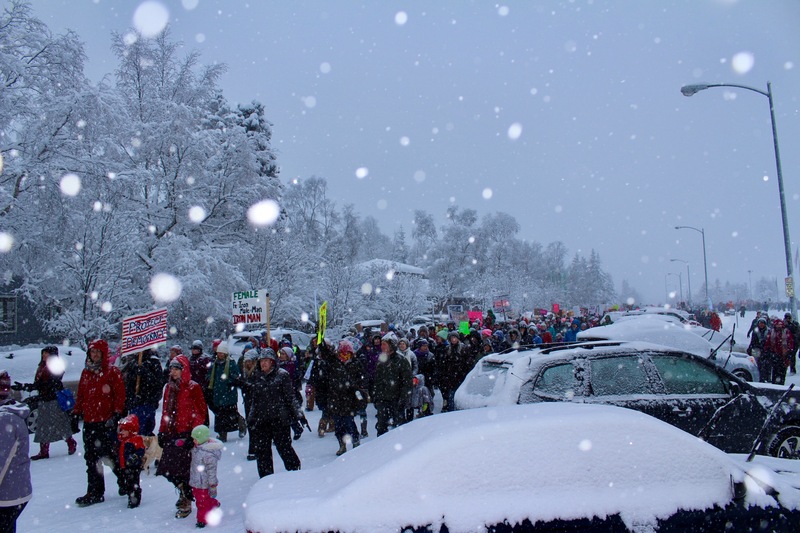 Thank you to Ermelina Gonzalez for reporting for the Athabascan Woman Blog! Very cool, Angela! I found the march to be inspiring, and hope it will lead to good things.